Types: Transparent, metallized, color coated. Holographic images creates visual splendour for the viewer & used for variety of decorative applications. Everest offers a wide range of Holographic designs in different colors in Decorative Films and Paper. Customization of design with attractive colors in different sizes makes our offering attractive to the users. Enriched by our vast industrial experience in this business, we are indulged in offering an enormous quality range of BOPP Film. Vivaan Flexi Pack Pvt. Ltd. is the manufacturer of BOPP, LD, PET, MET, POLY and Paper laminates for flexible packaging. We do lamnation with cost effective and maximise the customer profitability by the using proper techniqe and recomandation of perfect raw material. 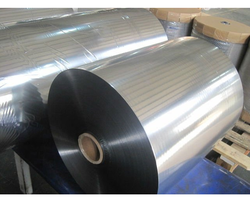 Due to our honest business standards, we are gradually making our way to the platform of success by offering BOPP Packaging Film. - Suitable for pallet wrapping and packaging of industrial productand food product. 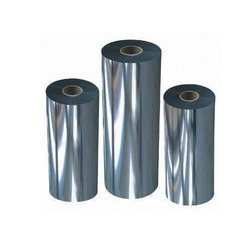 Our Company offers BOPP Laminating Film, which uses a unique film-covering technique which spreads adhesive material on the BOPP film, so as to protect the surface of the plastic synthesized paper, it can be used in the lamination machine with function of right-time heating. BOPP ROLL USED IN NON WOVEN BAG.AND MANY OTHER.